When you hire a window cleaner, you expect a timely, reliable service from someone who cares about your satisfaction. That’s precisely what you’ll get with Clean Cut. The Clean Cut Window Cleaning Company was established in 2008. Since then we have built up a strong reputation in our field and among our customers in the Swindon area. We are extremely proud of our friendly, efficient and reliable cleaning service. As well as the Swindon area we are able to serve customers in to nearby towns including Lambourn and Royal Wotton Bassett. We are dedicated to quality of service and reliability. We use the new water pole system but if you prefer we can provide a more traditional window cleaning service. The lightweight, extendable, water fed pole with a soft bristle brush head and spray system allows us to reach windows up to 60 feet. "Take your home from green to clean"
The real magic of this system lies in the water filtration system. We use a system which uses 5 stages of filtration to deliver 100% pure water to the soft bristle brush head. Removing all of the impurities in the water means that the windows can be left to dry naturally without leaving mineral deposits or streaks from a squeegee. All of this means savings for you and for us without out sacrificing a quality result. We provide professional outdoor cleaning services throughout the Swindon area for domestic, commercial and industrial customers. 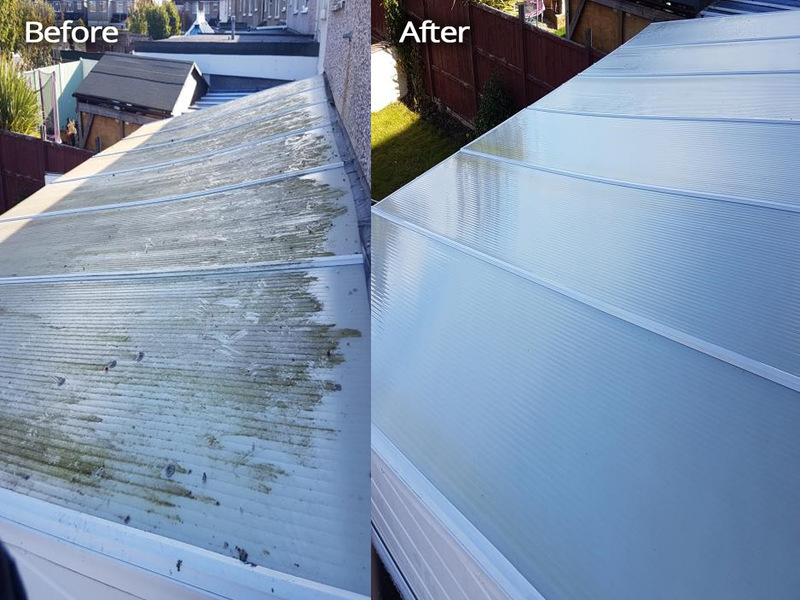 We are able to provide a wide range of services including: window cleaning, solar panel cleaning, conservatory roof cleaning, fascia cleaning, sign cleaning, patio and driveway cleaning. 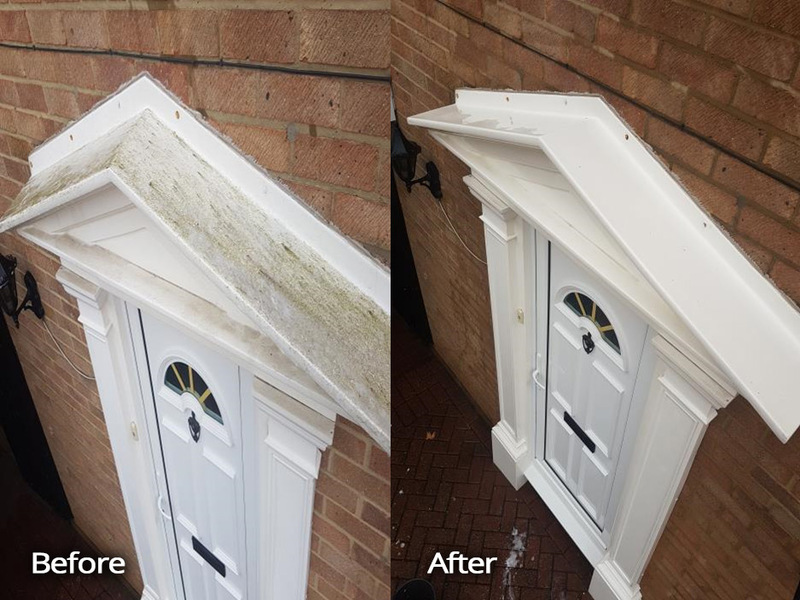 We are able to provide a choice of weekly, fortnightly, monthly or one-off cleans, to suit you and your schedule. If you would like to a free on-site estimate, please don't hesitate to contact us today!